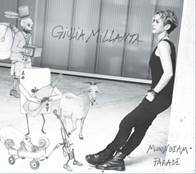 Singer/songwriter/guitarist Giulia (Julia) Millanta announces a September 9 release date for her fifth CD, Moonbeam Parade, on Ugly Cat Music. The new disc features 13 new songs, all written or co-written by Giulia, who also produced the album along with her friend and producer George Reiff. Giulia Millanta is a native-born Italian from Florence, who now calls Austin, Texas home. A creative and prolific artist, she has released four prior albums, touring regionally, throughout the USA and internationally. An accomplished guitarist, Giulia also plays ukulele and sings in four languages. She has been described by as being “deeply evocative with a dash of Piaf, a sprinkle of Lady Day, a pinch of Norah Jones and a teaspoon of Madeleine Peyroux” (Michael Greenblatt, Aquarian Weekly). Giulia began her life in music as a child of eight when her father taught her to play guitar, and she began to perform traditional folk songs. As Giulia became more proficient, she began writing songs and making records. Performing at the Acoustic Guitar Meeting in Sarzana, Italy, in the spring of 2010, her accomplished guitar style and songs earned her the “New Sounds of Acoustic Music” award. This led to an endorsement by the renowned guitar makers Eko, choice of the most famous 1960s-80s era singer-songwriters throughout Italy. Giulia moved to Austin in 2012, where she was soon embraced by the music community and its fans as a writer, collaborator and performer in the scene’s most prestigious singer-songwriter venues. Giulia, by way of her unique bi-lingual ability and intrepid nature, has honed a style that transcends cultural boundaries and speaks strongly, yet gently, of universal life through her autobiographical musings. 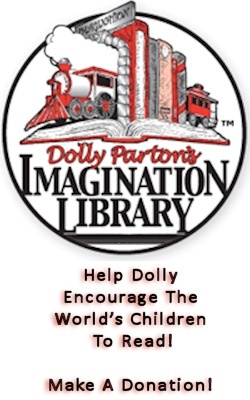 One only has to follow the yellow brick road of her discography to know who and where she is now. In 2008, driven by curiosity and a longing for personal expression, she debuted with Giulia and the Dizzyness (Cavern Jatt Records). Then, in 2011, she released Dropping Down (Ugly Cat Music/Audioglobe), an album distinguished by her maturing skills as a musician, producer, writer and arranger. By 2012, as a result of Giulia’s new energy and inspiration after having toured Europe and moving to Austin to become part of the melting pot of cultural experiences in “the live music capitol of the world,” she released Dust and Desire (Ugly Cat Music/Audioglobe). She continued to soar as a songwriter and artist, and in 2014 broke new ground with The Funambulist (Ugly Cat Music). Surrounded by a host of new friends and fellow musicians as “between the lines,” Giulia conceptualizes the tightrope walk she has been through, writing and singing of all she has experienced, learned and become.